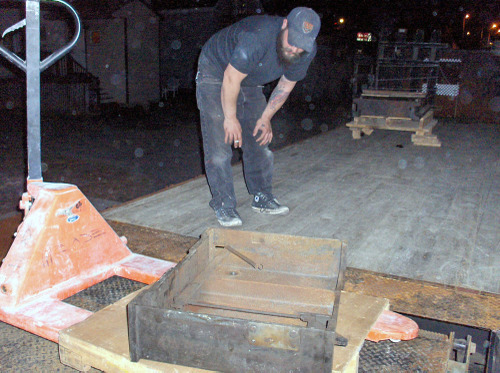 Monday was moving day for our Vandercook press. It's been about a year in the works, but finally all the stars lined up. 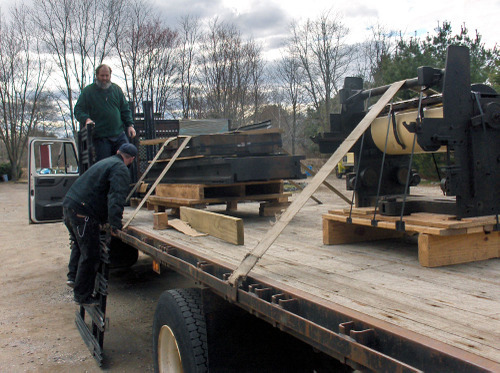 We drove down to Wild Carrot Press in Hadley, MA, and with the able assistance of proprietor Dan Keleher and his fork lift we managed to get all parts loaded on and strapped down. The press (a Vandercook 223) will undergo a complete cleaning and rebuild in the coming months, and make it's Portland home at 43rd Parallel Press. For folks who want to follow all the action on that front, we'll be posting our progress on a separate blog. More on that soon. I think what I found most bewildering on Monday is how much truck you can rent with a regular license and a cred it card. It's really pretty shocking. 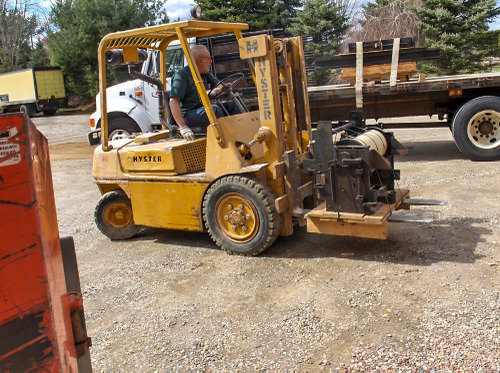 Many thanks to Dan Keleher for his deft work with the fork lift in Hadley. And many thanks to Rich, Reuben and Leif for their brains and brawn throughout the move.